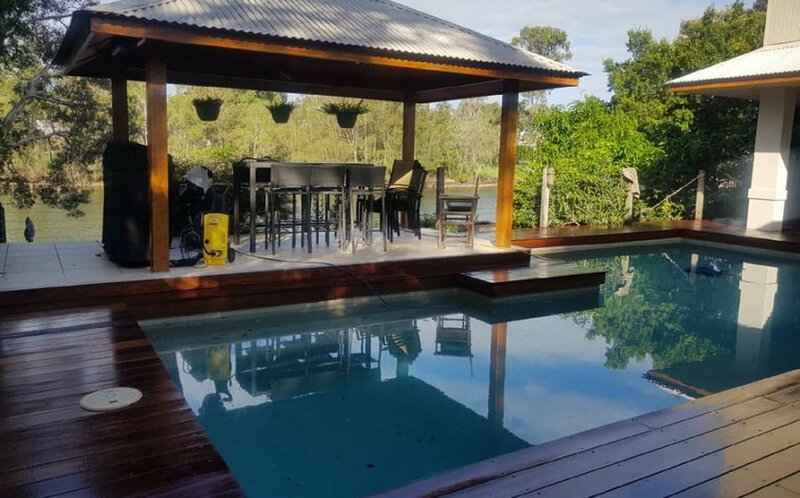 Here we have taken the natural beauty of the Australian Spotted Gum timber, added Cutek oil for protection from the elements, and worked with the existing pool fencing and gazebo to create (we think) a great looking deck surrounding this pool at Twin Waters. 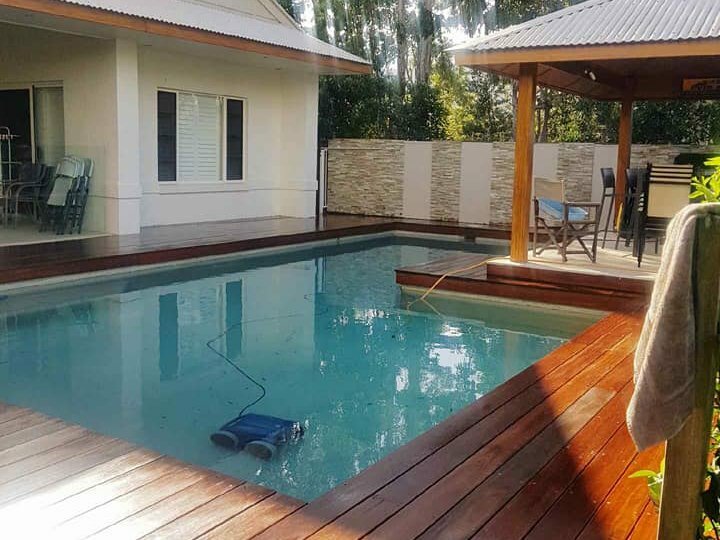 Stainless Steel screws. 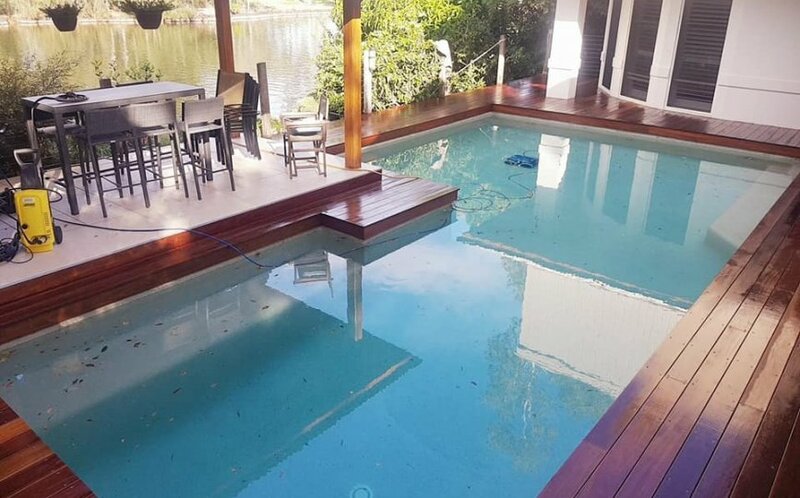 Spotted Gum 140x20mm boards. Cutek oil.